Relay For Life is an opportunity to get together with your community to celebrate cancer survivors, remember loved ones lost & fight back against cancer. We started our team, The Jackals, in 2010 following the passing of my father in law, Jack Rozenblum, who lost his battle with pancreatic cancer in November 2009. 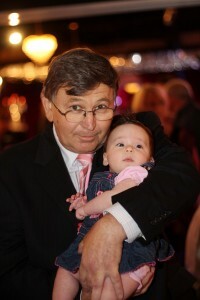 We honour his life & his spirit by creating a team & raising money for much needed cancer research. 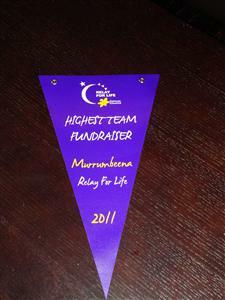 We raised over $8k in both 2010 & 2011 & raised over $7k in the 2012 Relay in October. The Cancer Council is not government funded. We need your support to help to reduce the impact cancer has on our communities. $500: Can allow a research team to purchase tissue samples for use in investigating the cause of cancer as well as potential treatment options. $100: Can help the Cancer Council to provide resources to health professionals to assist them in adopting proven methods in treating and caring for their patients. 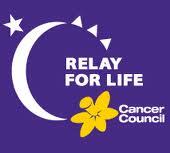 $50: Can help the Cancer Council train a staff member for the Cancer Council Helpline (13 11 20). The helpline is a confidential telephone support service accessible to all Australians for a cost of a local call. Specially trained staff can answer questions about all aspects of cancer, including prevention, early detection and treatment.